Few weeks back I won a giveaway from Greenie Mill in which the winner could pick up three products for themselves. I informed Madhu from Greenie Mill that apart from the seabuckthron facewash she could send anything which she wants to. 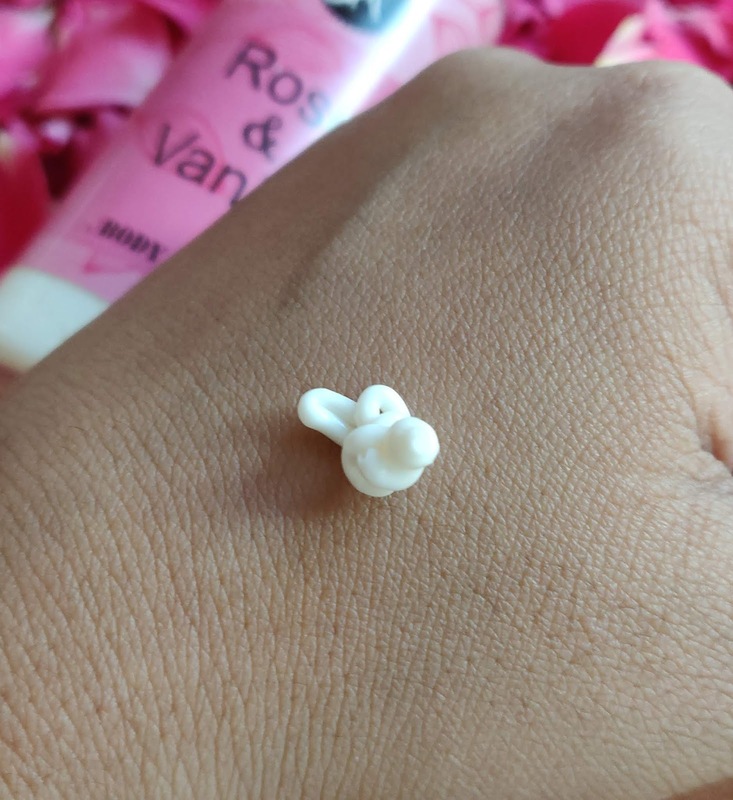 So she sent me this body lotion. After about using half the bottle am writing this review. The product is housed in a plastic pump up bottle. The pump dispenser is very small so you need to pump up lotion endlessly to get the desired quantity of the lotion. The bottle is secure, sleek and travel friendly. The product has an extremely non greasy, non buttery, non oily texture and is extremely light weight. The consistency is medium and neither thick nor runny. It gets applied easily on the body and gets absorbed even faster than that. The product has a rose fragrance which feels duly authentic and is not overpowering or easily fading one. 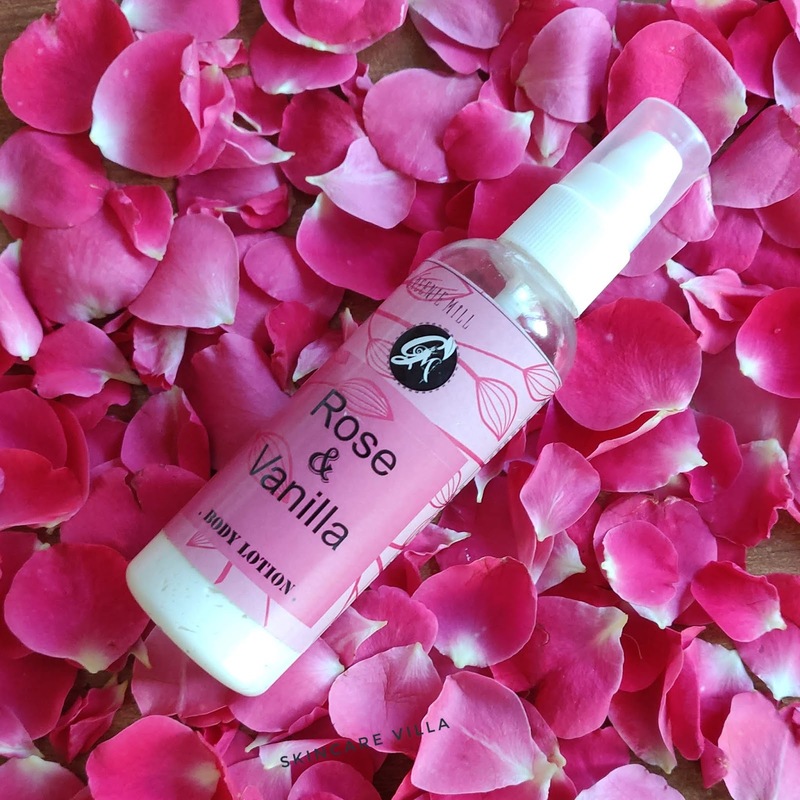 The main ingredient of the lotion is Rose distillate hence the authentic fragrance. I have been using this lotion as a night routine on my hands and legs (sometimes I even apply to my face, for which I would blame my laziness). The lotion is not overtly moisturising and sticky. It cures dry patches with regular use in winters. It is suitable for summers as opposed to the harsh winters. Also this lotion is more suitable for people with normal skin and not meant for dry skinned beauties. The product is free from parabens, synthetic fragrances and other nasty chemicals. Few days back I had a severe itching on my legs and I applied this lotion to test it. Within seconds of applying the lotion the itchiness vanished and my skin was feeling very soothed and calmed down. My son urges me to apply this lotion to him also and so far am having a good experience. 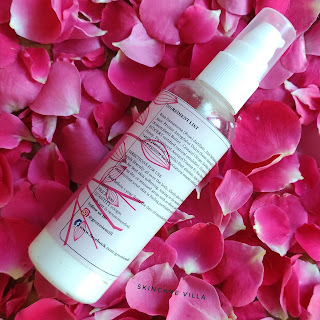 Greenie Mill Rose & Vanilla Body Lotion is more of a summer time body lotion rather than the one to be used in winters. I wish the body lotion was a bit emollient in nature so as to suffice as an all year round body lotion. Considering the price we pay for the lotion, I would recommend picking it up in summers. Also the high price point can be attributed to Rose distillate being the major ingredient in the lotion. It has rose essential oil in it as well. I am already on an empty spree so am using this lotion in winters also.